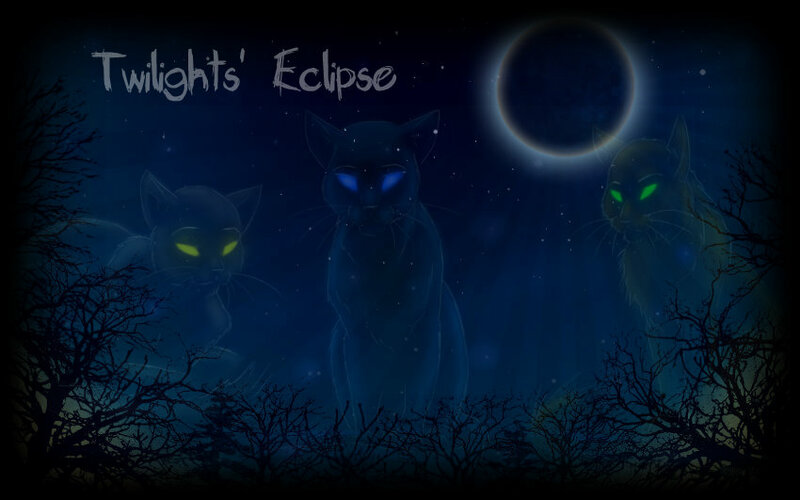 Twilights' Eclipse is an up and coming Warrior Cat RP. All rights reserved to their rightful owners. Pictures belong to their rightful owners. Warrior Cat info found Here is copyrighted to their rightful owners which can be redirected to the website which are linked down below each page. If you feel something is wrongfully copyrighted and credit wasn't given due respect then please join the site and either message me, (HazelStorm, the site owner) or join the chatbox and speak to me, (HazelStorm, the site owner). Thanks. All terms are copyrighted to their original owners from the site listed below. Prey-hunters are the lithe, quick cats of the Tribe who can jump high to catch mountain birds such as eagles or hawks to feed to their tribemates. Prey-hunters are tribe cats whose only duties are to catch prey for the tribe. They are the hunters of the Tribe, using stealth and surprise along with camouflage to catch their food. It is their responsibility to feed the Tribe and catch their prey, especially for the nursing cats, and the young and old. They depend on speed, for there are not many places to hide in the almost-bare surroundings, like WindClan. Normally prey-hunters hunt in teams to help catch prey. The equivalent of an apprentice, to-bes are young cats in training. To-bes are trained in either prey-hunting or cave-guarding. They train with their mentors and learn the skills of what they have to learn. When they are finished training, they are made into either prey-hunters or cave-guards by the tribe Healer. Tribe cats believe that they are born into their duty, though they can change positions. Unlike Clan apprentices, to-bes start training at the age of eight moons. The Stoneteller will receive a message from The Tribe of Endless Hunting when it is time to choose his own to-be. As their name suggests, kit-mothers are she-cats who are about to have or are nursing kits, the equivalent of queens. A prey-hunter or a cave-guard becomes a kit-mother when they become heavily pregnant and they can't continue with their duties. Kits are young cats that are not yet to-bes; the same as Clan kits. They are too young to do to-be duties, so they stay in the nursery with their mother. Kits stay a kit for 8 moons. At their birth, it is foretold by the Tribe healer if they will become a prey-hunter, a cave-guard or the next Teller of the Pointed Stones. Kits that seem fast and lithe are prey-hunters; kits that look strong will be cave-guards. They can be to-bes when they are eight moons old.